Am I strolling the cold streets of a small English town, stopping to stare in florists’ windows? 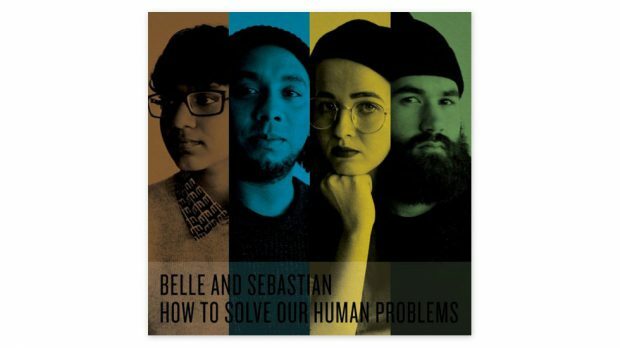 No, but listening to Belle & Sebastian’s How To Solve Our Human Problems (Part 1) EP sure did send me there. Their willingness to address contemporary society, whilst maintaining that wholesome folk sound we know and love, is thoroughly impressive. The first in the group’s new EP trilogy is an apt dichotomy of tension and sweetness, in lyrics and sound respectively. We Were Beautiful epitomises this; a Cafe del Mar-esque rhythm underpins musings of a happier past and addresses humanity’s vices such as instant gratification and ignorance. Sweet Dew Lee is the warm and sultry opener which has echoes of 2006’s Funny Little Frog in its pining for an oblivious lover. Its initial evocations of the 1950s soon give way to modern synths which intertwine perfectly. The pastoral imagery and clean plucks of Fickle Season show that B&S aren’t afraid to return to what they know best. A positive interlude among the somewhat agitated themes of the rest of the EP, it reinforced my long-standing opinion that many of their tracks could easily be mistaken for clever reworkings of traditional folk songs. The Girl Doesn’t Get It and the mostly instrumental Everything Is Now conclude the offerings and are the most blatantly political. The former, with such lyrics as “They’ll take profits over people / They will make the country great again / Just as long as it’s white and ugly” is a direct reference to our current ruling class and the exploitation they are so keen to inflict. The latter, repeating the phrase “Everything is now, everything is different” is a simple but unnerving reminder that our world is shifting rapidly from one moment to the next. The message is that amongst these constant changes, we must make a conscious choice to overpower the bad and embrace the good.